Jersey County is a county located in the U.S. state of Illinois. According to the 2010 census, it has a population of 22,985. The county seat is Jerseyville. Jersey County is included in the St. Louis, MO-IL Metropolitan Statistical Area. Jersey County was founded on February 28, 1839, and was formed out of Greene County. The county was named for the state of New Jersey, from which many of the early settlers emigrated - which was itself named for the Channel Island of Jersey in Great Britain. The area quickly evolved into several small agricultural communities. As the area soon began to flourish, a county government was established and a courthouse was built in Jerseyville, the county seat. The Jersey County Courthouse was designed by architect Henry Elliott who also designed the courthouses in nearby Greene County, Edgar County, Illinois, DeWitt County, Illinois (later demolished in 1987) and Pike County, Illinois. The cornerstone for the courthouse was laid on July 4, 1893. The Romanesque Revival style courthouse is a magnificent architectural structure of limestone quarried from the nearby town of Grafton, Illinois. Today, while the county maintains its agricultural base, it is also within commuting distance of jobs and industry in St. Louis, Missouri and the surrounding area. A large portion of the population works outside of Jersey County and benefits from being "Near the crowd, but not in it. ", the official slogan of the Jersey County Business Association's advertising campaign. The bordering rivers play an important part in Jersey County's economy by supporting agricultural producers and agribusiness, and by creating a strong tourist market. Education, manufacturing, and retail are also among the county's largest industries. According to the U.S. Census Bureau, the county has a total area of 377 square miles (980 km2), of which 369 square miles (960 km2) is land and 7.9 square miles (20 km2) (2.1%) is water. Jersey County is bordered by three bodies of water: the Mississippi River to the south, the Illinois River to the west, and Macoupin Creek to the northwest. Typically, the county's climate reflects most Midwest areas, located in the transitional zone between the humid continental climate type and the humid subtropical climate type (Köppen Dfa and Cfa, respectively), with neither large mountains nor large bodies of water to moderate its temperature. Spring is the wettest season and produces severe weather ranging from tornadoes to snow or ice storms. Summers are hot and humid, and the humidity often makes the heat index rise to temperatures feeling well above 100 °F (38 °C). Fall is mild with lower humidity and can produce intermittent bouts of heavy rainfall with the first snow flurries usually forming in late November. Winters can be cold at times with periodic light snow and temperatures below freezing. In recent years, average temperatures in Jerseyville have ranged from a low of 17 °F (−8 °C) in January to a high of 88 °F (31 °C) in July. The record low temperature of −25 °F (−32 °C) was recorded in January 1977 and the record high temperature of 112 °F (44 °C) was recorded in July 1954. Average monthly precipitation ranges from 1.92 inches (49 mm) in January to 4.14 inches (105 mm) in April. As of the 2010 United States Census, there were 22,985 people, 8,828 households, and 6,228 families residing in the county. The population density was 62.2 inhabitants per square mile (24.0/km2). There were 9,848 housing units at an average density of 26.7 per square mile (10.3/km2). The racial makeup of the county was 97.6% white, 0.4% black or African American, 0.3% Asian, 0.3% American Indian, 0.2% from other races, and 1.2% from two or more races. Those of Hispanic or Latino origin made up 1.0% of the population. In terms of ancestry, 42.8% were German, 14.7% were Irish, 10.6% were English, and 8.6% were American. Of the 8,828 households, 31.9% had children under the age of 18 living with them, 56.4% were married couples living together, 9.7% had a female householder with no husband present, 29.5% were non-families, and 25.0% of all households were made up of individuals. The average household size was 2.51 and the average family size was 2.98. The median age was 40.5 years. The median income for a household in the county was $53,470 and the median income for a family was $64,773. Males had a median income of $48,750 versus $31,789 for females. The per capita income for the county was $24,368. About 5.6% of families and 8.5% of the population were below the poverty line, including 8.4% of those under age 18 and 7.1% of those age 65 or over. Alton Community Unit School District 11 - serves a very small portion of southern Jersey County (east of Elsah), along with northwestern Madison County. Greenfield Community Unit School District 10 - serves a very small portion of northeastern Jersey County (west of Kemper), along with eastern Greene County. Jersey Community Unit School District 100 - serves most of Jersey County, and a small portion of southern Greene County. Southwestern Community Unit School District 9 - serves the northeastern and southeastern portions of Jersey County, along with southwestern Macoupin County. Jersey Community High School, located in Jerseyville. Principia College, located near Elsah. The Democratic Party holds five of eight countywide elected positions as of 2017 as well as a seven to five majority on the county board. Jersey County is part of Regional Office of Education #40 which includes neighboring Macoupin, Calhoun and Greene counties. The office operates a facility in Jerseyville. District 100 - Currently represented by C. D. Davidsmeyer (R-Jacksonville) and consists of the majority of the county and includes the cities of Jerseyville and Grafton. District 111 - Currently represented by Daniel Beiser (D-Alton) and consists of the southern portion of the county and includes the village of Elsah. District 50 - Currently represented by Sam McCann (R-Springfield) and consists of the majority of the county and includes the cities of Jerseyville and Grafton. 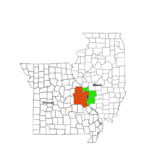 District 56 - Currently represented by William Haine (D-Alton) and consists of the southern portion of the county and includes the village of Elsah. Jersey County’s federal political history is fairly typical of “anti-Yankee” Southern Illinois counties. It voted solidly Democratic until Theodore Roosevelt carried the county in his 1904 landslide. It was to again vote Republican in the greater landslide elections of 1920 and 1928, but otherwise was firmly Democratic until World War II, when opposition to US involvement turned the county to Wendell Willkie and then Thomas E. Dewey. Between 1948 and 2004, Jersey County became something of a bellwether county, voting for every winning Presidential candidate except in the Catholicism-influenced 1960 election, and that of 1988 which was heavily influenced by a major Midwestern drought. Disagreement with the Democratic Party’s liberal views on social issues since the 1990s has caused a powerful swing back to the Republicans in the past quarter-century. As is typical of the Upland South, Barack Obama in 2012 and Hillary Clinton in 2016 did far worse than any previous Democrat. Jersey County is included in Illinois's 13th congressional district and is currently represented by Rodney Davis (R-Taylorville) in the U.S. House of Representatives. ^ a b "Monthly Averages for Jerseyville, Illinois". The Weather Channel. Retrieved 2011-01-27. ^ State of Illinois County Officers (PDF). Springfield, Illinois: Illinois State Board of Elections. January 19, 2017. p. 42. This page was last edited on 9 February 2019, at 19:09 (UTC).